Bring the World to Your Classroom and create Memorable Immersive Experiences. 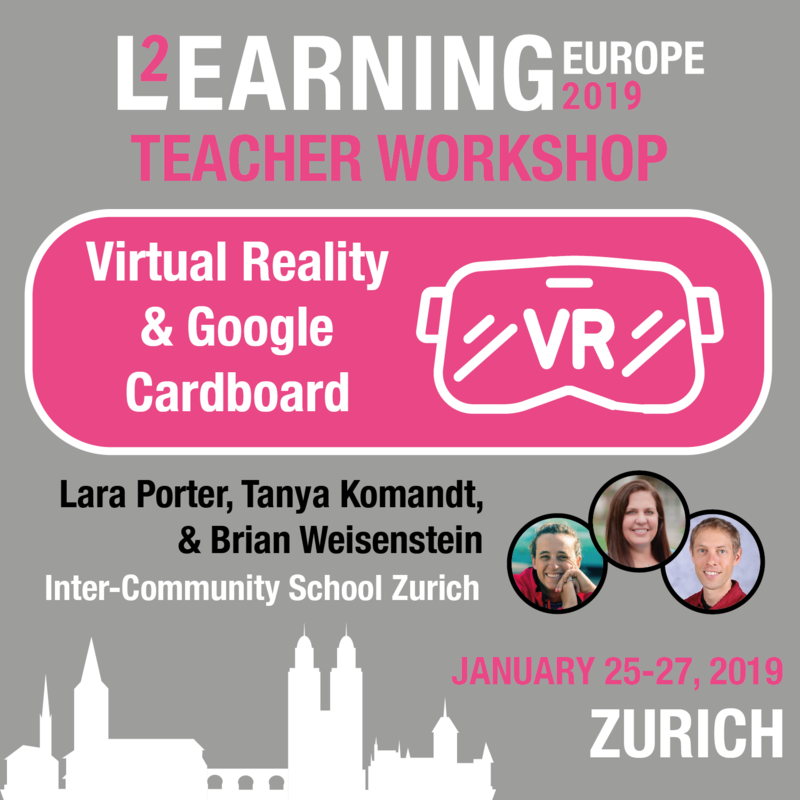 Through the use of Google Cardboard and You tube 360 participants will have tools to take back to the classroom to incite provocations and unique experiences with their students. Brian has 13 years of science and mathematics teaching at international schools in Spain, Indonesia, and now, Switzerland. 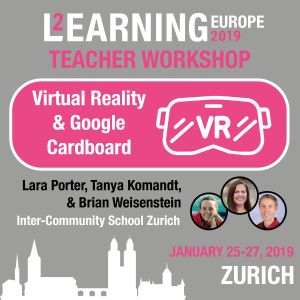 He is keenly interested in how new digital tools can enhance student learning and engagement, especially augmented and virtual reality technologies. He currently teaches IB DP Chemistry and MYP Science at the Inter-Community School of Zurich. The KAUST School divisional Ed Tech Coaches for PYP and MYP/DP will showcase to participants how they utilize the Jim Knight coaching cycle to drive personal learning for others and themselves. 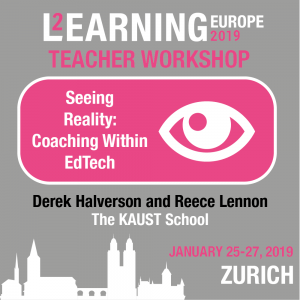 Time dependent, an opportunity may be provided for attendees to view and/or participate in a mini-coaching session with the goal of building their understanding on how the coaching cycle can work within an EdTech context or to further develop their own skills around coaching. See examples of coaching in action at various grade levels to inspire positive change in classrooms. See how the coaches utilize these coaching sessions to develop their own skills and understanding surrounding coaching, curriculum, teaching techniques and more. 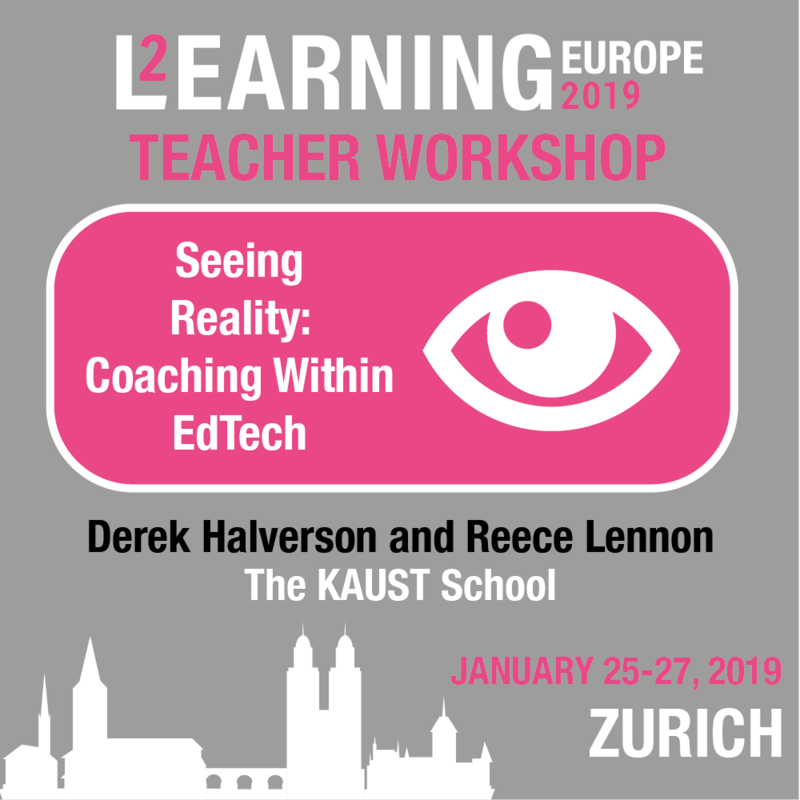 Have opportunity to share and discuss with like minded professionals how they utilize coaching cycles to impact teaching and learning at their schools. Time dependent, participate and/or view a mini-coaching session in action with a debrief of the process. Derek Halverson holds a B.Ed and M.A in Educational Technology and has been teaching internationally for all nineteen years of his career. He has effectively taught a variety of curriculum at all age levels, been an adjunct faculty member for Michigan State University’s M.A. in Educational Technology program, and was awarded the IBO’s Blackburn Award for the IBAEM region. 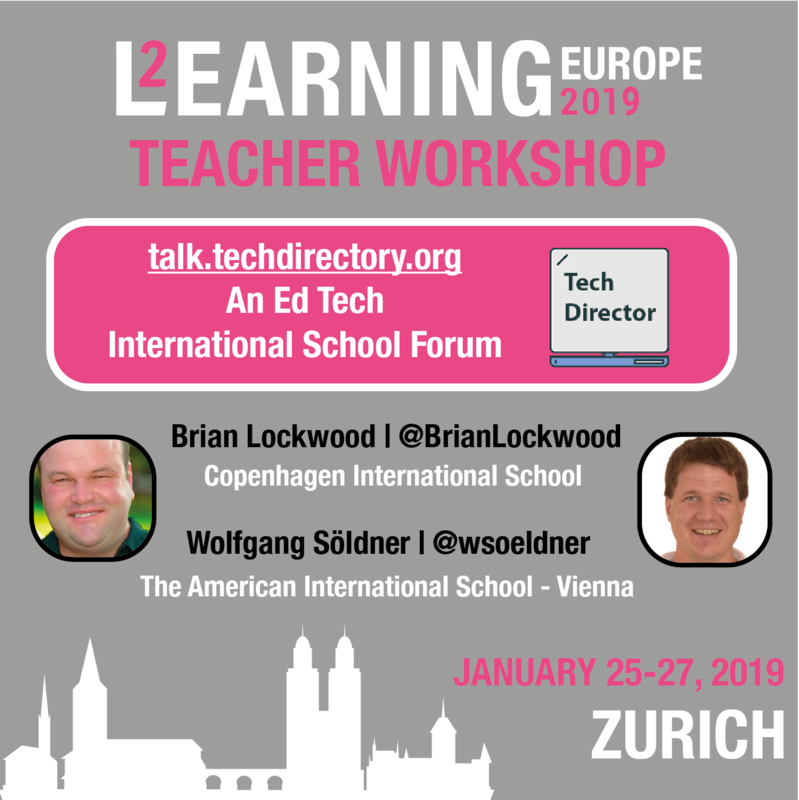 Additionally, he has created engaging and informative presentations at a variety of conferences and schools throughout his career, often with a specific focus on integrating technology. Reece Lennon holds a M.A. in Educational Technology and has been teaching internationally for nineteen years. He is an Apple Distinguished Educator as well as a Google Certified Innovator. He has taught a variety of curriculum from K-12 and has held a variety of roles within schools including teacher, Director of IT and EdTech Coach. Learn how to bring excitement, enthusiasm, and joy back into your classroom! Children learn better when they feel safe, respected, and happy. Get to know your students better. Workshop participants will understand how small changes can have big, and positive, effects on student learning. You will appreciate that learning is better when you dive right in. Session Outcomes: Participants will be actively engaged in playful activities designed to build trust and respect within a classroom community. You will experience ‘socially safe’ games and exercises that promote communication, collaboration, critical thinking, and creativity. You will take away a bank of resources that can be used with students as soon as you get back to your classroom. Come prepared to be active. Try everything. Be adventurous. 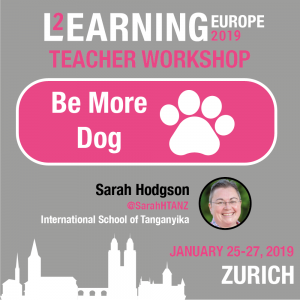 Sarah is an international educator with almost a quarter century of teaching experience spanning three continents. During her career she has taken on a wide variety of teaching roles including classroom teaching, specialist teaching (Music, Performing Arts) and, more recently, the role of Technology Integration Coach. Sarah is an Apple Distinguished Educator and a Seesaw Ambassador. She has a deep commitment to learning and student empowerment. Sarah is passionate about enabling young learners to communicate and invent confidently through authentic learning engagements. Co-teaching is effective, but not always efficient. 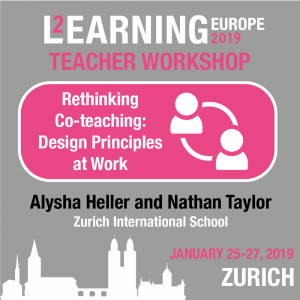 As veteran educators, we are trying to break the mold of co-teaching, and are trialing a new model at Zurich International School to shift from co-delivery to co-teaching. 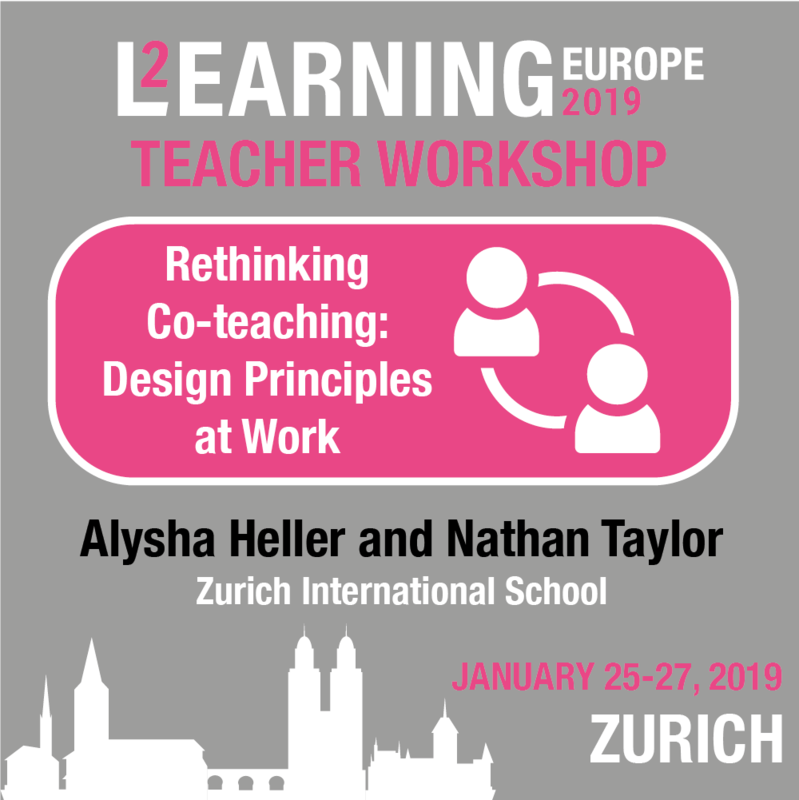 Through the design lens and using the principles of universal design, participants will reflect on ways to develop new approaches to co-teaching at their schools. Participants will explore foundational approaches to co-teaching. 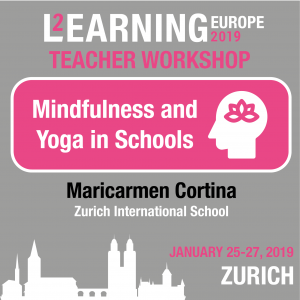 Gleaning from design principles put forward by Stanford’s d. School, we will examine case studies connected to our current pilot at Zurich International School’s Middle School campus, gaining an understanding of current approaches and opportunities for innovation in co-teaching. 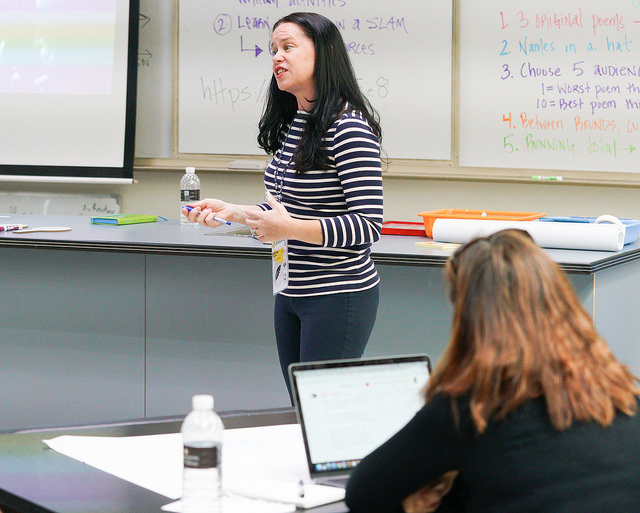 Alysha is a Social Studies teacher at Zurich International School and leading her department through the exciting and daunting process of curriculum review. Currently, she is busy diving into concept-based curriculum design, building structures for student inquiry, and achieving higher levels of universal design for all learners. Alysha has a B.Ed. in International Education and an M.Ed. in Educational Leadership from the University of British Columbia. 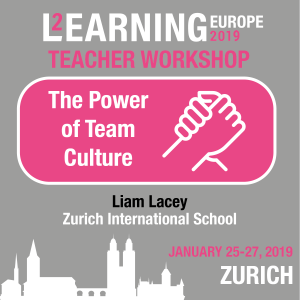 Nathan is the Curriculum Area Leader of the Zurich International Middle School Learning Support Team. As a former graphic designer, he is passionate about design and loves making beautiful things to help kids learn. He is a keen cook, podcaster, and dad to the cutest girl in the world, Nora. Nathan has a B.A. in Theology from Oral Roberts University and an M.Ed. in Curriculum and Instruction from Boston University. 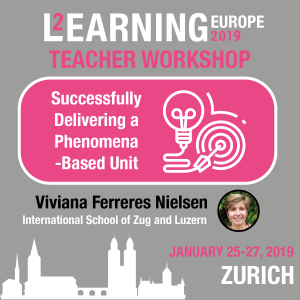 Are you are interested in bringing phenomena based learning to your classroom but are unsure how? This session will showcase a unit that has been delivered successfully over the last 2 years. You will leave with a complete unit plus ideas on how to develop your own. 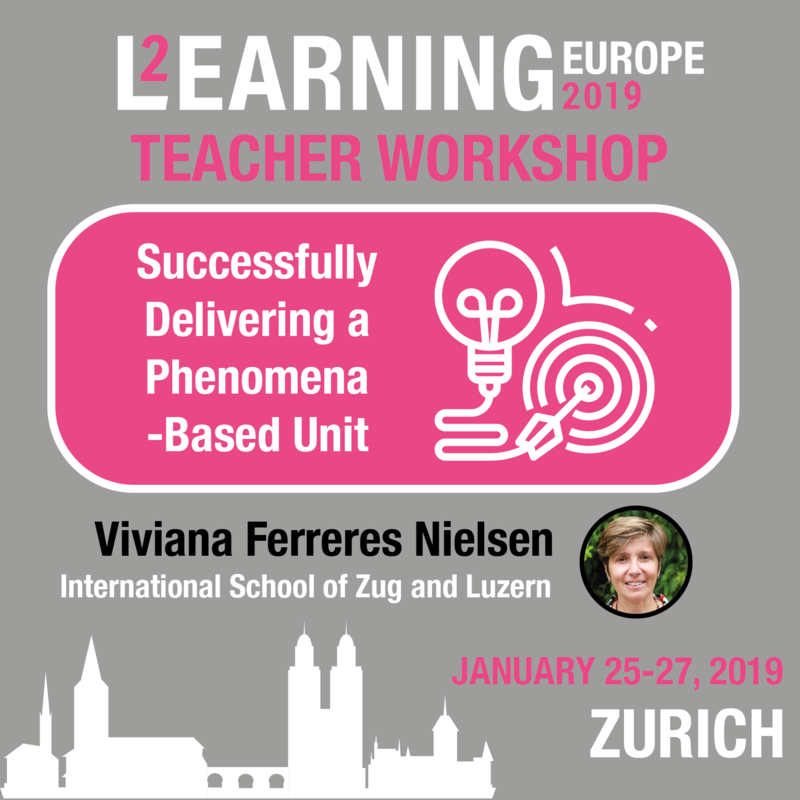 Viviana Nielsen has been teaching MS Science and Math during 5 years at the International School of Zug and Luzern in Switzerland. Her background as Chemical Engineer and work in chemical companies during 15 years has given her inspiration to bring real world problems into the classrooms. She advocates Phenomena based learning in the classroom and some examples of her units: “Why can’t we fly?” and “Why is Coca Cola acid?” . She enjoys hiking with her husband Carlos – who is also an engineer and Science and Math teacher- and singing classical music during her free time. We’ve been running a Tech Director Ning since the first 2007 Learning 2 conference. We’ve moved to a new website. Learning what it is, how to use it and how you can shape its future. Become active in sharing best practice. Be mentored or become mentor. 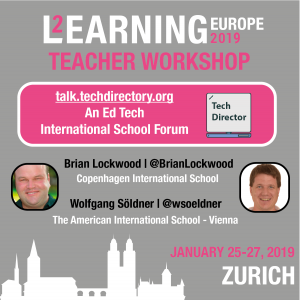 Brian: Currently the Ed Tech Director at Copenhagen International School. Previously lead technology departments in schools in China, Japan and Boston. I use Design Thinking strategy. An advocate for inclusive learning and encourage project based learning as an effective method for achieving strophic results. Wolfgang: I am an international school educator with over 12 years of experience. I currently live in Austria, but have lived in France, UK, Switzerland, Singapore, Germany and Belgium. In my last three jobs, I have implemented and lead most things surrounding educational technology at Pre- Kindergarten through Grade 12 as Tech Integrator, Coordinator and Director. It is my belief that through well articulated and meaningful integration of technology, education can truly be transformed. To develop an understanding of the importance of recognizing team cultures. Gain a more detailed insight into team building and reasons why colleagues interaction in different situations. Observe interactions and understand the need to interrupt these observed behaviours. Role play interactions. 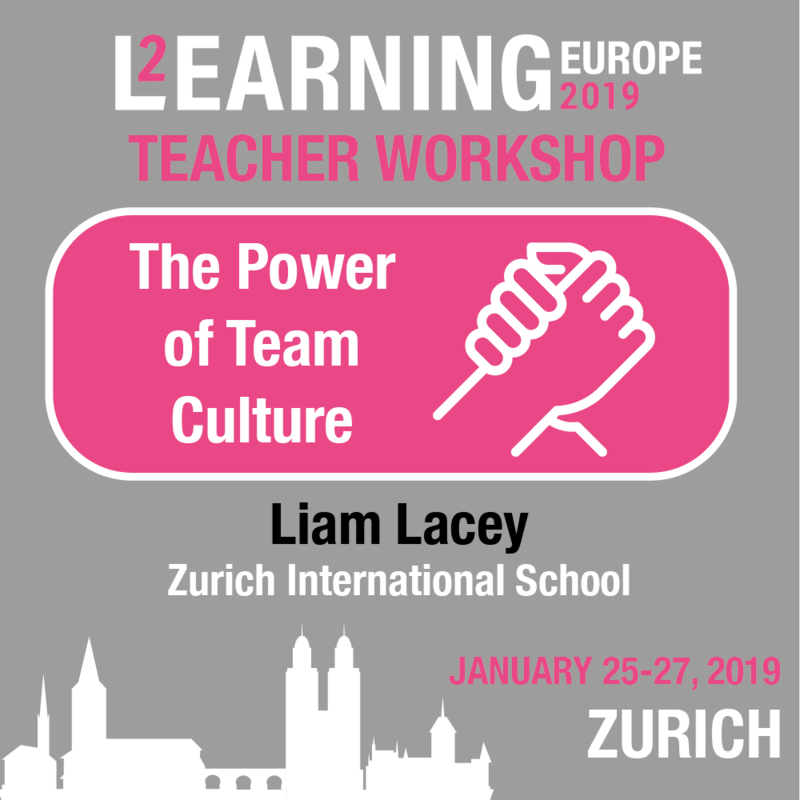 Liam is a passionate primary teacher working near Zurich, Switzerland. He is keen to develop and improve his teaching strategies and leadership skills. This includes working with colleagues and building successful professional teams. He has presented at local conferences and at larger international conferences. He believes in life long learning and continues to learn each day in his interactions with students, colleagues and parents. He is looking forward to sharing his thinking with you. Anka is the Educational Technology Coordinator at Zurich International School. Patrick is the Educational Technology Coordinatoar at the International School of Prague. Anka and Patrick first met at the International School of Kuala Lumpur where they were both ETCs. For two years, they organized ISKL’s participation in the Global Codeathon organized by UNIS Hanoi. 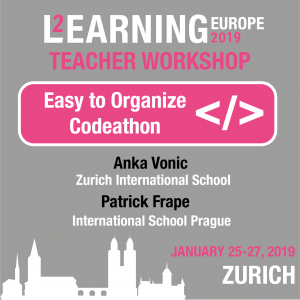 In 2017, both moved to European schools and decided they could hold a scaled down version of the codeathon that was easy to organize and sustainable. 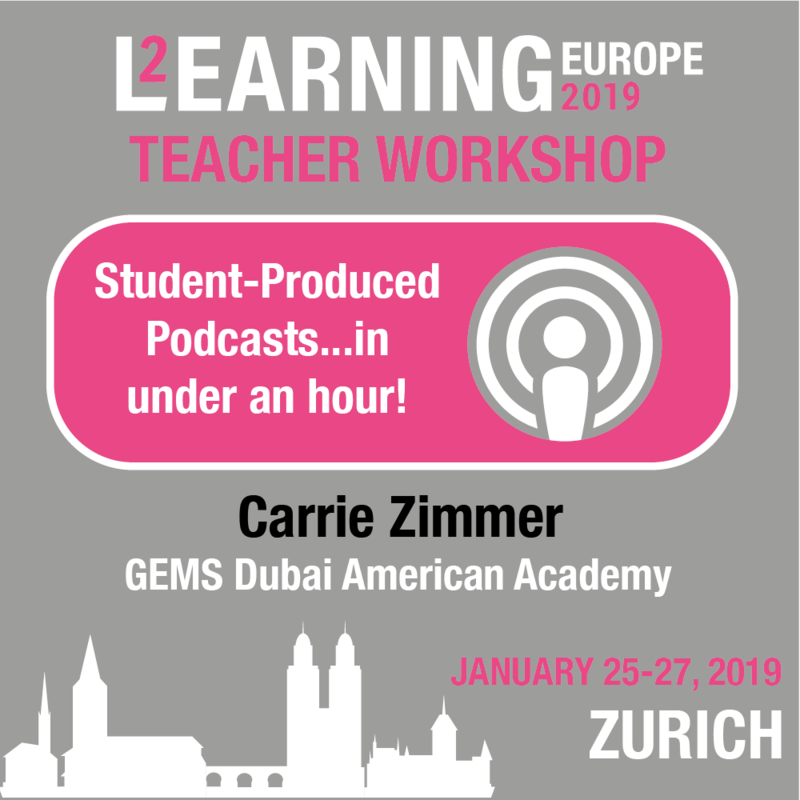 In this session, participants will gain understanding of the steps needed to allow students to create a simple podcast using the Anchor app. 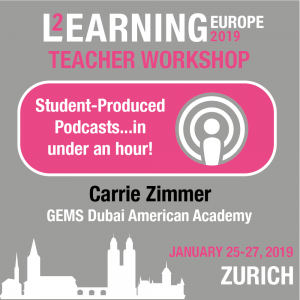 Participants will hear from a group of students about their experiences creating 4th in 4!, a weekly 4 minute podcast to share their learning in 4th grade. Participants will produce podcast segments in groups and experience the Anchor app as we put together our own podcast episode. We’ll explore how to develop ideas, script the segments and record the podcast in a limited window of time. Learn to navigate your way around Seesaw and find out how to capitalize on a great learning platform for creating independence and sharing the learning process. Overview of the Seesaw platform. Explore the learning journal by creating, editing and viewing posts. Share curriculum connections. Find, share, and create Seesaw activities. Kim Lelek is an Educational Technology Coach working at the International School of Zug and Luzern in Switzerland. She is a Seesaw Ambassador and was a member of Coetail Cohort 7. Kim is an experienced and passionate educator who has embraced a variety of roles across the K-8 age range over the past 20 years. She is a globally minded teacher who has lived and worked in Canada, Singapore, and Switzerland. Kim has spent the past 6 years, working as an Educational Technology Coach within the IB curriculum. 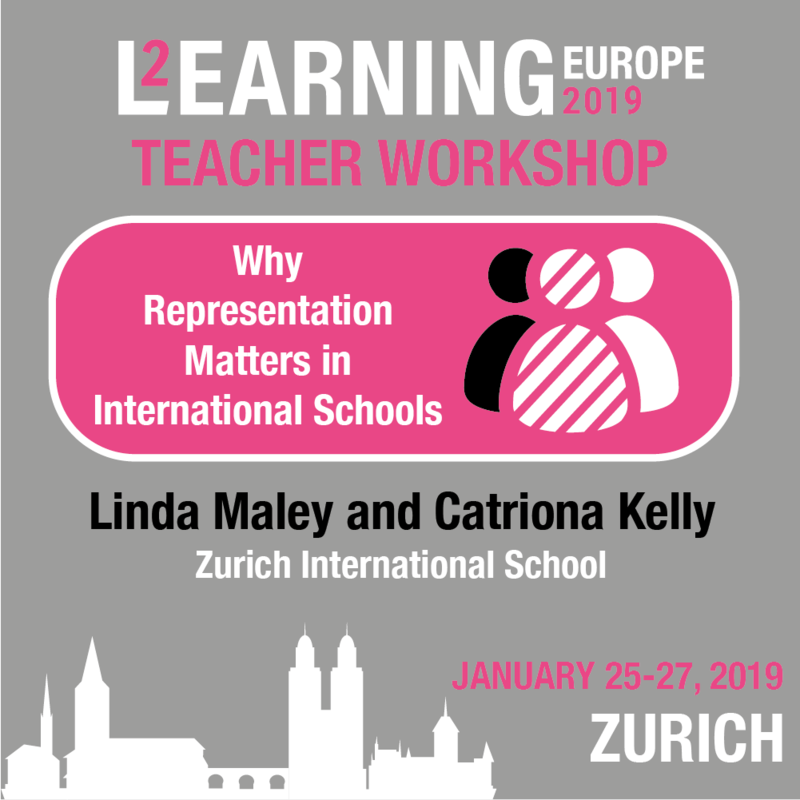 Participants will better understand the importance of advocating for marginalized students, and will tap into their unique role in ensuring that all students are represented. Participants will explore their implicit biases through self-reflection activities; will visualize how they can make concrete changes in their schools; will practice how to respond in challenging conversations; and plan specific steps they can take to launch a group to lead change. 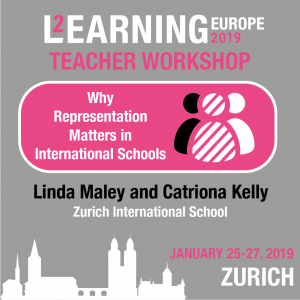 Linda Maley, has experience teaching on four continents, and has worked with students of all ages from early childhood through University. 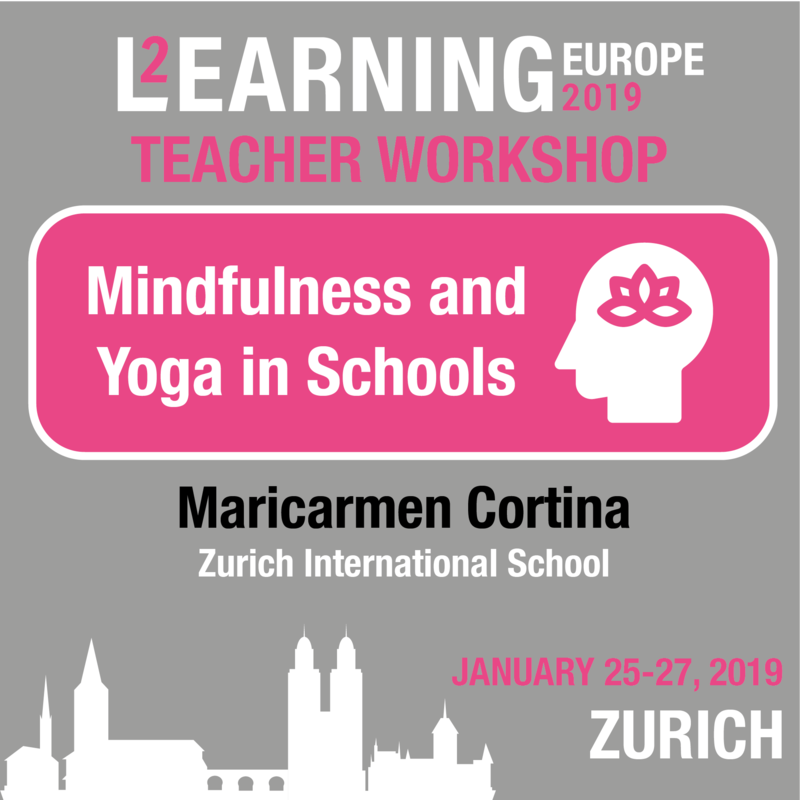 She currently serves as Head of Library Services at Zurich International School and is a founding member of the school’s Diversity Committee. To bring awareness of the positive effects of mindfulness has on our children. How easy it is to add as a daily practice.